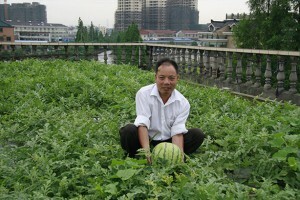 Urban farming in Beijing? Considering the pollution and the limited space in the city, this sounds not only surrealistic but also questionable from health / food safety point of view, but there is a reality: urban farming is a growing trend in Beijing! Some would see urban gardens as a response to the growing urbanization of China: “China is reinventing the “garden city” concept in order to create space for both its urban and its displaced rural citizens“. If we can’t imagine at this stage to feed the entire Beijing population with urban farms settled on roof tops, this is at least a way to explore new ways of food production. – it is a way to offer citizen options for “agrotourism” and it can be used for educational purposes. 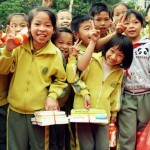 Some international and local schools are running a garden as an educational tool for their pupils. 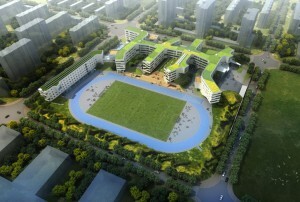 Started in 2015, initiated by a group of French people members of the JCEF and RISE, a Student environmental association working to research and develop urban farming in Beijing, the Beijing Sanyuanli community garden is a pilot project who aims at helping residents to build a sustainable urban garden in the heart of Beijing. You can contact the project team if you are interested to open such project in your residential compound! Beijing counts about 100 million square meters of roof surface available for green roofs. Plume Labs suggests that converting all this available surface in green roofs would help to reduce the by PM 2.5 by 880 000 kg per year, which would have the same effect as removing 730,000 cars from the roads of the city. 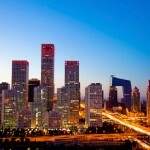 If the roofs of Beijing are not all green, you have more roof gardens than you think in Beijing! 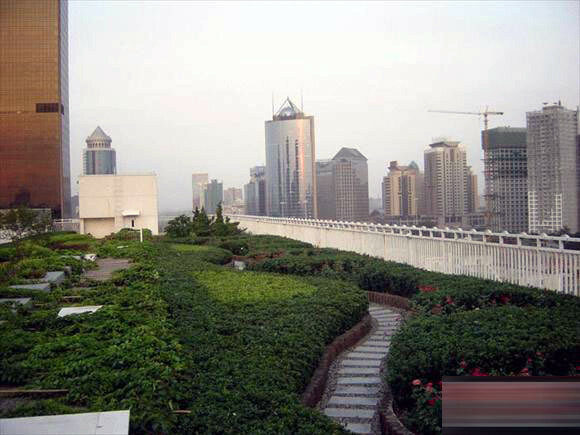 For example, did you know that the whole Chang’An Avenue counts no less than 19 roof gardens, covering a total surface of ​​123,840 square meters? Beijing city is allocating subsidies for roof gardens (100 to 150 yuan / sqm in 2012, to be compared to the cost of installation: 300 to 600 yuan / sqm + maintenance costs per year). Beijing No.4 High School Fangshan Campus had no less than 36 plots for the 36-classes of students in the school, providing students the chance to learn the techniques of farming! Students are cultivating themselves the vegetables they will eat at the canteen. Another option is to rent a small piece of land at a farm place or to let people cultivate for you and enjoy picking fresh vegetables with the family at one of the organic farms in Beijing surroundings.